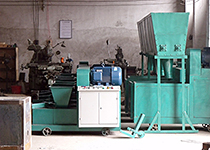 AGICO GROUP is an wood briquette machine manufacturer in China, one of the hot product is wood briquette machine developed for small scale farm owners, compared with the large scale wood briquette machines, it has the features like easier to install and uninstall, less space occupied, easier to operate and maintain, etc. At early spring and autumn, farm owners would have large quantities of crop straws, leaves etc left in the fields, usually the quantity is so large that there is no enough time for them to decomposition naturally. Then there’re 2 solutions to this problem: feed them to the livestock or burn them, the animal waste and the burned ash are perfect fertilizer for the field, as the experienced farmers said: it is the gold fertilizer for the fields’ productivity. 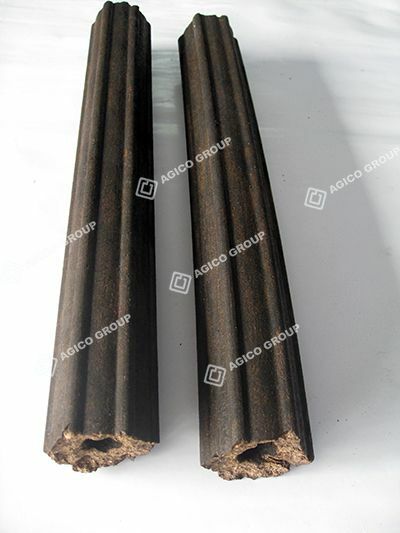 Wood briquette machine for sale from AGICO GROUP can help you process the loosen straws and wood materials into high density briquette, which takes up less room and can be preserved for a much longer time. If you’d like to buy wood briquette machine before summer time is over, check on the products from AGICO, or contact us right now! © 2012 AGICO All Rights Reserved.